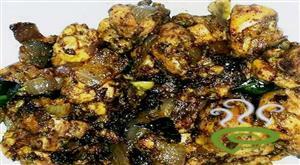 In a big tawa, put chopped onion, ginger, chilly and curry leaves. Add salt, coconut oil and vinegar. Crush all these ingredients with your hands until the juice from onion comes out. Add coriander paste, chilly powder, turmeric powder and finally the mango pieces. Add thin coconut milk & adjust salt. :- A little high salt will be balanced later with mango. Put the tawa on fire and cook until the mango is half done. 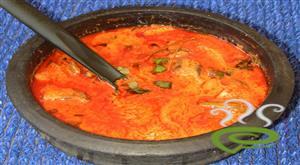 Stir at regular intervals to keep the coconut milk from separating. Add fish pieces and cook for another 5 mins. Add thick coconut milk and stir well. 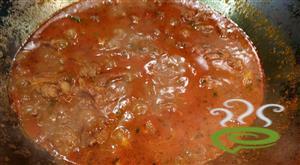 :- Do not allow to boil much. Heat oil in a small tawa. 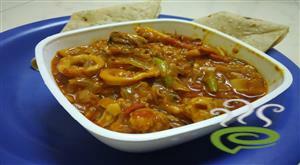 Add chopped small onions and broken red chillies. Saute until the onion gets brown in color. Pour it on the top of the curry. 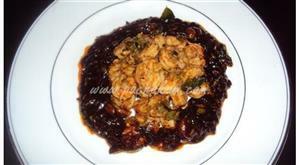 :- Serve with steamed rice. 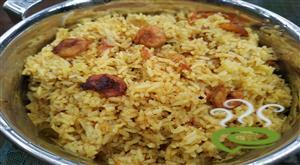 :- Reduce the quantity of mango if it is too sour. 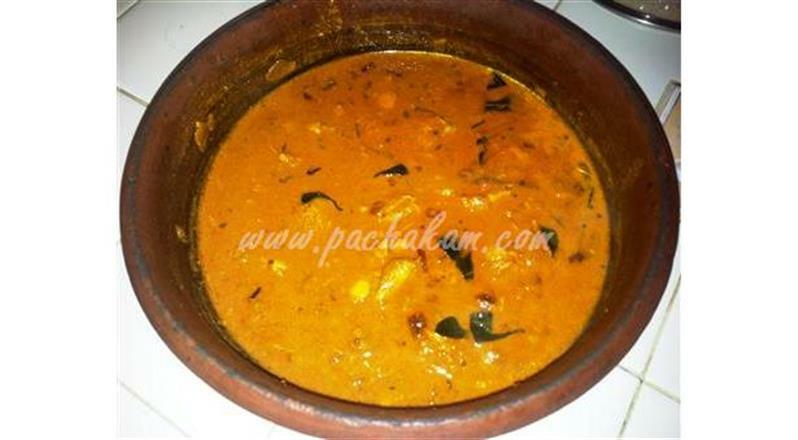 :- This curry is normally stored in Clean dry mud-pots or ceramic containers (Bharani) and used next day. 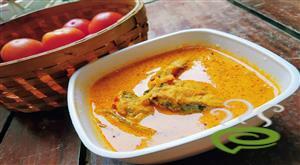 :- Use Kerala made coriander powder and coconut vinegar if possible. 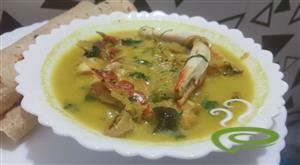 Thanks jijo...i was searching 4 this....plz add konju curry recipe also.